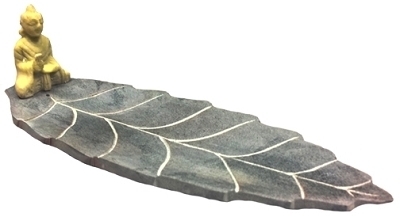 Enjoy this soapstone incense burner featuring a Buddha sitting on a leaf. This incense burner is ideal for your favorite incense sticks. This incense burner also adds the perfect amount of zen to any room decor.